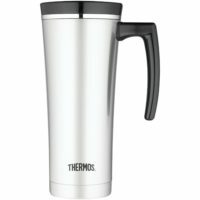 This sleek stainless steel 16-ounce travel mug with leak-proof lid keeps drinks hot and cold for hours. And a dependable travel mug is a crucial component of that caffeine-delivery system, one that keeps hot stuff hot, or cold stuff cold, as needed. One that doesn’t leak or spill, and which feels good in the hand. We’ve gone through a few mugs over the years of Westy travelling, in a variety of materials and shapes and prices. And we’ve frequently been disappointed after a while, for one reason or another. 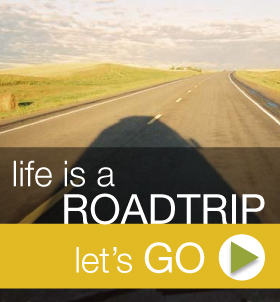 But, like finding the perfect roadtrippin’ partner, I think we may have found The One. Thermos has been making vacuum-insulated beverage flasks for over 100 years, and they know their stuff. Their Sipp travel mugs are tall, slim, stainless steel flasks, narrow at the bottom and tapering to a wider top, and they fit well in your hand. 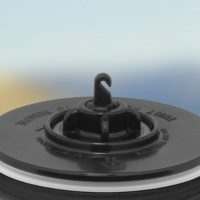 The screw-on plastic lid has an integrated valve operated by a small button, which securely seals the beverage inside to prevent spilling or heat loss. 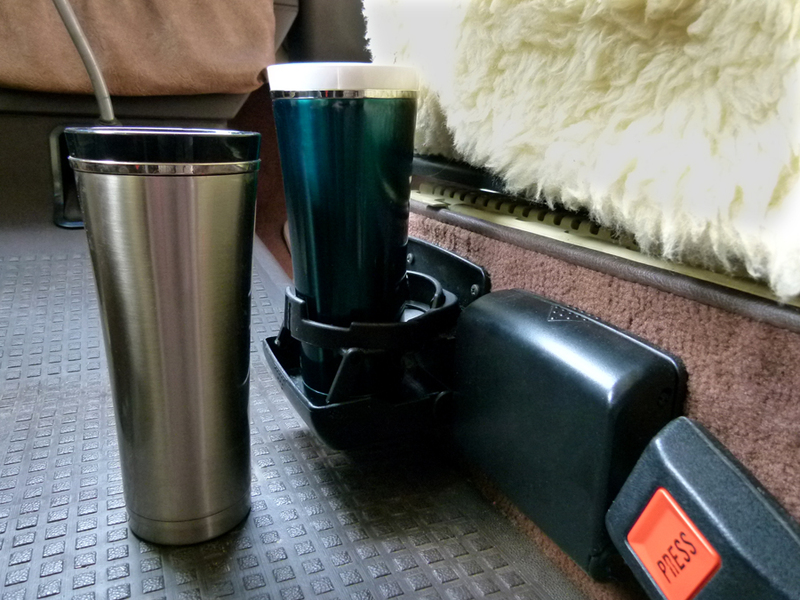 The Thermos Sipp fits well in nearly all beverage holders, and is a perfect match for our Sports Imports Folding Cup Holders. When travelling, it’s easy to grab, depress the push button, and sip your favorite beverage. 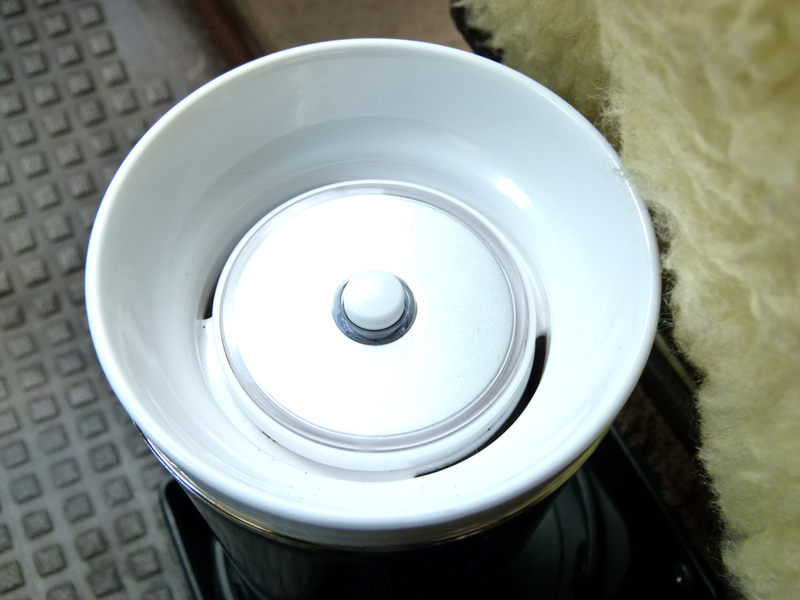 The Sipp keeps coffee scaldingly hot for a couple of hours, and amazingly drinkable for a couple hours more. Cold beverages stay cold even longer. 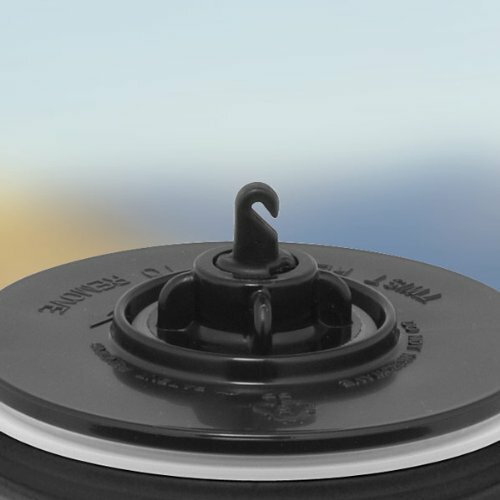 Though tall and potentially top heavy when full, the Sipp has never toppled out of our cup holders, and even when knocked over on a picnic table the sealed lid prevents spills. 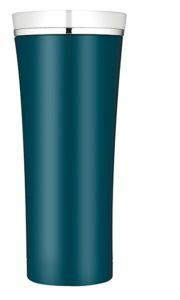 The Sipp is available with or without a handle, and comes in six colors. 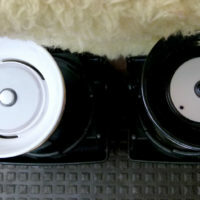 Most colors include a white lid, but the Silver model comes with a Black lid, which can sometimes make it difficult to see the two sipping slots. I simply marked my lid with a Sharpie, to prevent embarrassing dribbles. 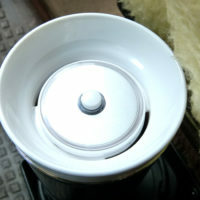 Cleanup is easy with a good wash and rinse, though the underside of the lid’s valve will benefit from a periodic disassembly and a thorough cleaning, especially if you often enjoy cream, flavored coffees, or sugary beverages. 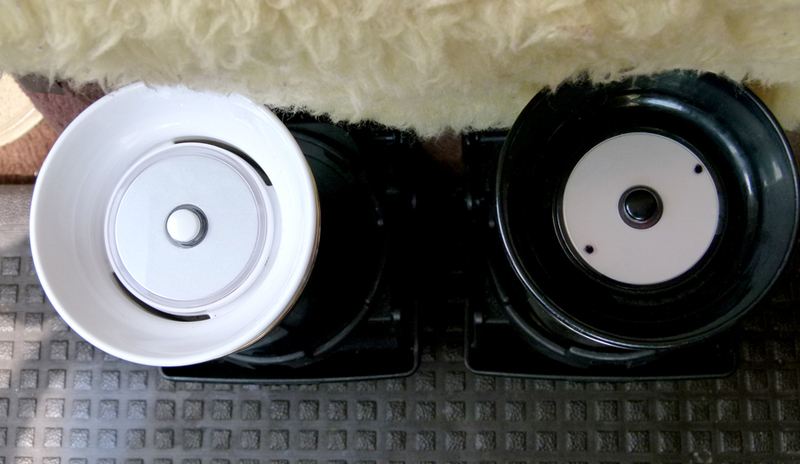 We’ve been using our Thermos Sipps for a few years now, for Westy travelling and for everyday driving. 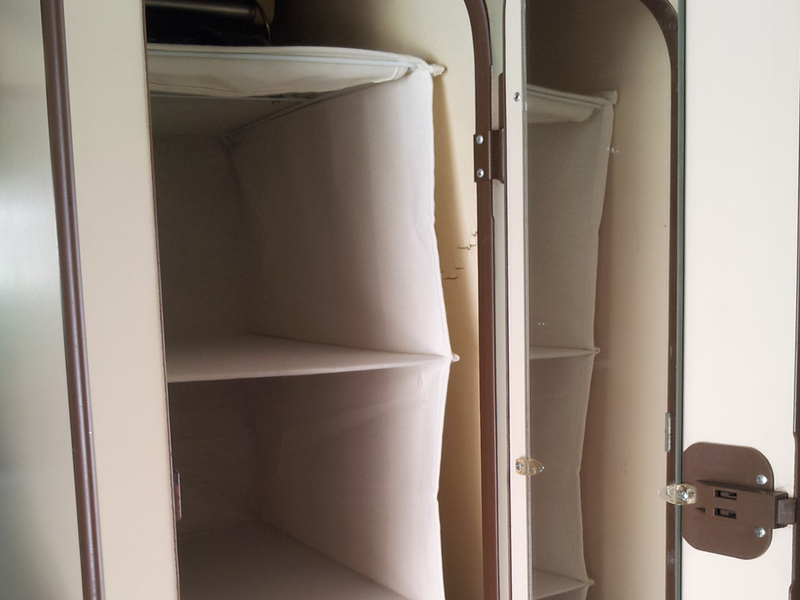 I even use mine for multi-day kayak-camping trips, the no-leak lid allowing me to carry hot coffee ready at hand, strapped to my foredeck. 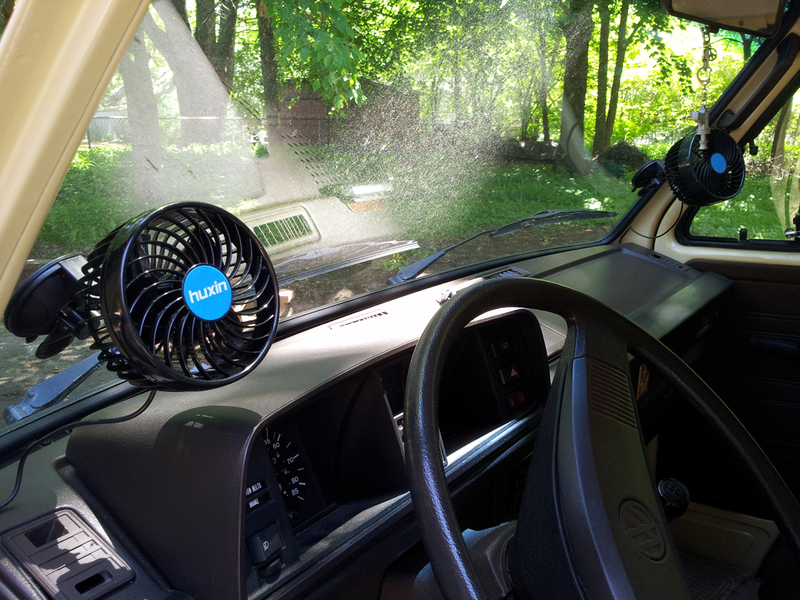 Setting out for a day of windshield touring, we can easily make it all morning with two steaming mugs of coffee or tea, and the Sipp’s no-spill design is perfectly suited for the rough-and-tumble environment of a camper van. 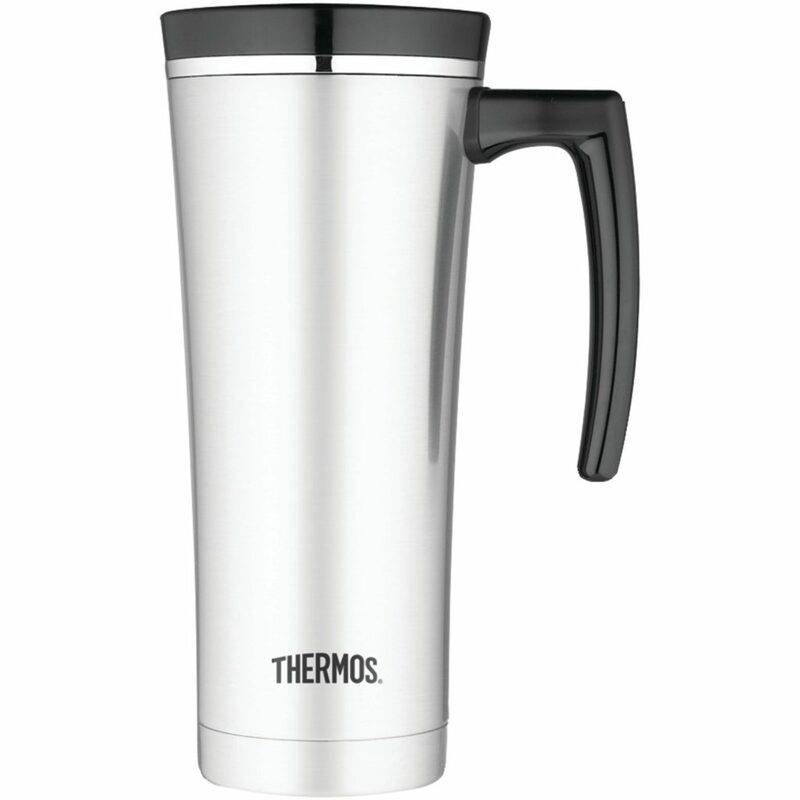 On those long driving days, the Thermos Sipp travel mug is the perfect travelling companion!